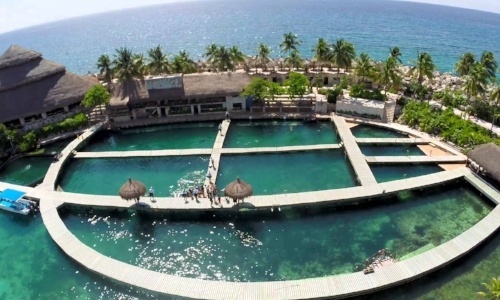 The list includes bars such as the Posada Amor, the Crococun Zoo and, of course, an awesome habitat for swimming with dolphins in Puerto Morelos. 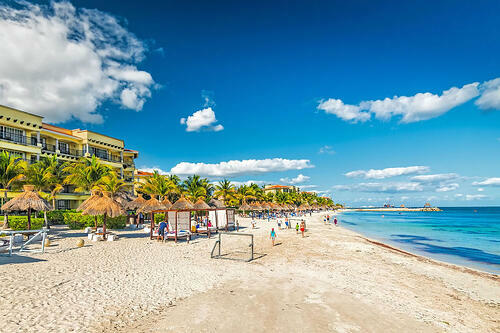 Puerto Morelos has miles of beautiful Mexican Caribbean beach, with white sands and beautiful waves. It has a wonderful and relaxing atmosphere, set with live music played by a local band. This interactive zoo is perfect for you to lose your fear of reptiles and live with them. The Mesoamerican Reef System is so close to the coast that it forms a natural barrier that keeps the waters really calm and shallow. 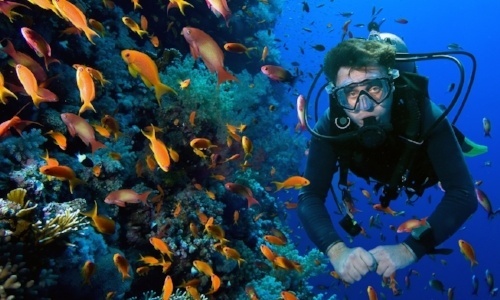 Strict environmental regulations have managed to keep this part of the reef intact and that is why only tourist promoters who comply with the guidelines can offer snorkeling tours. The Botanical Garden "Marín Alfredo Barrera" is one of the largest in the country and is located 2 km south of the detour of Puerto Morelos on highway 307 from Cancun. 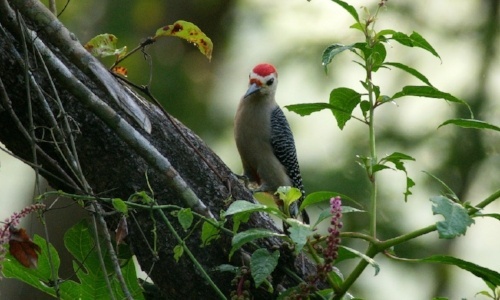 It is a beautiful place to get up close to the local flora and fauna. Many tourists confuse different styles with the real Mexican one. 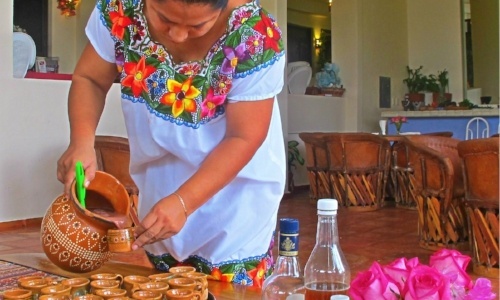 Learn to make the different dishes of our cuisine at The Little Mexican Cooking School. The Cenotes Route is located south of Puerto Morelos. It is a natural wonder that feeds on underground streams and rivers that lie beneath the Yucatan peninsula. Puerto Morelos has a beautiful, wide and innovative habitat for swimming with dolphins right on Boulevard El Cid. This award-winning place is already one of the region's favorites. Posada Amor has a bar where, on Fridays, you can learn salsa moves with a live band. If the tropical sounds are not your thing, on Saturday there is a rock band instead. You can go to have fun at different bars. For example, the Bara Bara, offers an exceptional atmosphere, excellent martinis and a foosball table. Now you know that this coastal city does not just mean 'something quiet'. 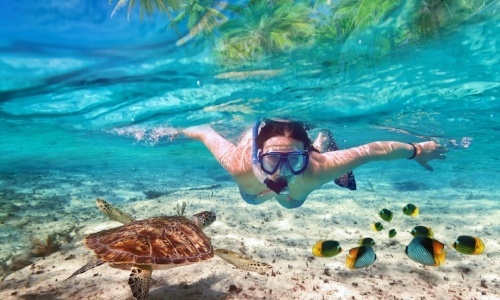 A swim with dolphins in Puerto Morelos is an activity that you should schedule when you are planning your next visit. 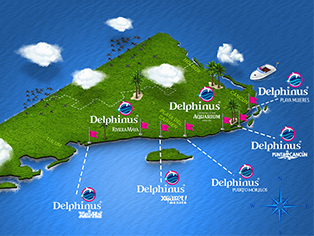 In Delphinus we have a unique habitat in which our dolphins live together in the sea and we want them to live with you.